Was David Montgomery pushed out by Phillies? The Phillies PR department these days resembles that of a custodial staff, because they have done a remarkable job of sweeping a potentially huge story under the carpet. Remember the report in October that Phillies minority owner John Middleton was pushing David Montgomery out of his role as he prepared to take a majority ownership stake in the organization? The first half has already come to fruition and I suspect the other may follow, but not yet. Let’s not mistake what happened here: the Phillies pushed David Montgomery out as President, CEO, and general partner of the team. 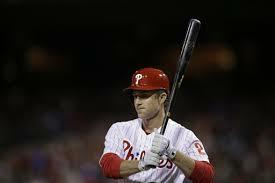 Poll Results: How do you feel about Jimmy Rollins getting traded? For the first time in a long time, the Phillies seem to have a plan. Well, compared to previous seasons, that is. The Phillies made a few trades in the offseason, added some depth through low cost signings, and shuffled the front office around. Most importantly, they finally acknowledged the existence of that giant, aging, wart, with that one very long hair protruding from it, which has been staring at them in the mirror by admitting they need to rebuild. Step 1 is admitting you have a problem, so at least they got that far. It took them at least a year longer than it should have, but they finally faced the truth. Baseball games have become intolerably slow. The average MLB game last season took over three hours, which is almost a half hour longer than the average game in 1981. Long, boring games just won't hack it in this new Twitter world we live in. Unlike his slubberdegullion predecessor, new commissioner Rob Manfred wasted no time (yes, pun intended) in picking up the pace. He didn't even have to change the rules, either. Manfred is just enforcing rules that were already in place. Craig Calcaterra of Hardball Talk outlines the rules well in this post. Something needed to be done and it's nice to see the new commish tackle this right away. I have been screaming for this for a while now and it's nice to know Manfred has been listening (because clearly he is a fan of Phils Baseball, right?). Monday marked the last day before the full squad workouts begin tomorrow and it was the perfect setting for Spring Training practice. Temps in the mid 70's and sunshine sneaking in and out of the clouds was an absolute perfect start for my trip. While the rest of you suckers dedicated fans suffered through yet another ridiculously cold day, I was basking in warm Clearwater glory. This was my first day this spring in Clearwater and that seemed like nothing short of a miracle. I found out firsthand yesterday what a little bit of Philly winter can do to travelers when my original 7:50am flight was cancelled and I ended up catching a flight nearly twelve hours later...and I was one of the lucky ones. 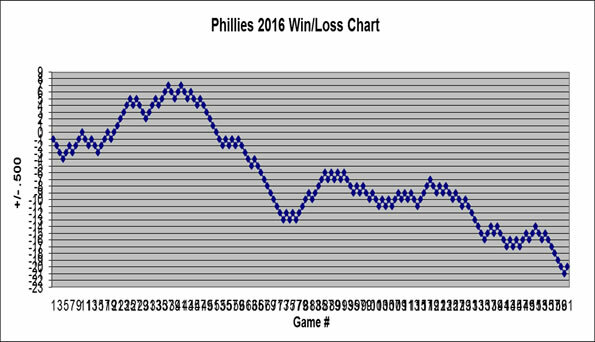 Is it possible that the Phillies will finish with the worst record in baseball in 2015 as Vegas predicts? Sure. But for some, it doesn’t matter. The one constant through all the years, Ray, has been baseball. This field, this game, it's a part of our past, Ray. It reminds of us of all that once was good and it could be again. For some, the differences between Iowa and Heaven and Clearwater are impossible to notice; some consider the 2015 Phillies equally as exciting as the ghosts of the 1919 "Black Sox" team; some view the disparity between Freddy Galvis and "Shoeless" Joe Jackson as negligible. 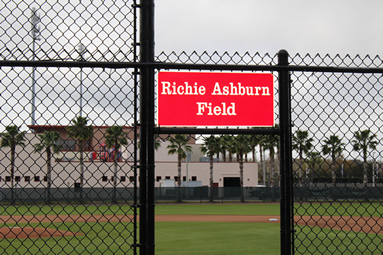 Baseball heaven for Phillies fans re-opened today as they held their first full team workout. Aside from the bleak outlook for the team itself, 2015 Spring Training offers plenty of intrigue, some of which was on display on the first official day.